Arturo 9 is an approved son of Arturo 8, an exciting horse for the future he has been placed in major young horse championships as well as already producing some exciting foals and young horses. 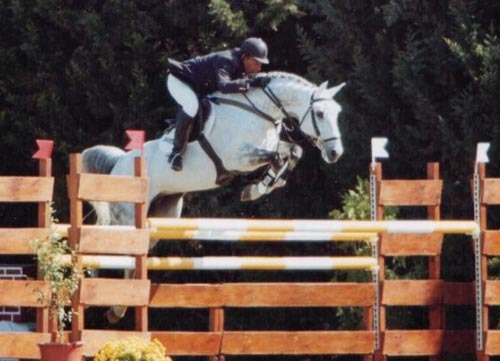 SIRE: Arturo 8's sire Athlet Z (Almé Z x Gotthard) was bred at Zangersheide, Athlet Z developed into a producer of many international showjumping horses, such as Adelfos (Markus Fuchs), Almox Athletico (Ludger Beerbaum), Valeska (Michael Rüping), Sprehe Avion (Ludger Beerbaum) etc. 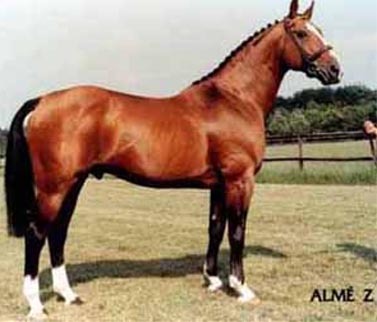 Athlet Z was the first Hanoverian to be used in Holstein breeding for many years – although while he wore the Hanoverian brand, his bloodlines were a heady continental cocktail. His sire Almé was one of the treasures of French breeding, spirited away by Belgian breeder, Leon Melchior to stand at his Zangersheide stud, before returning triumphantly to France to end his days on Bernard le Courtois’ Brullemail Stud in Normandy. 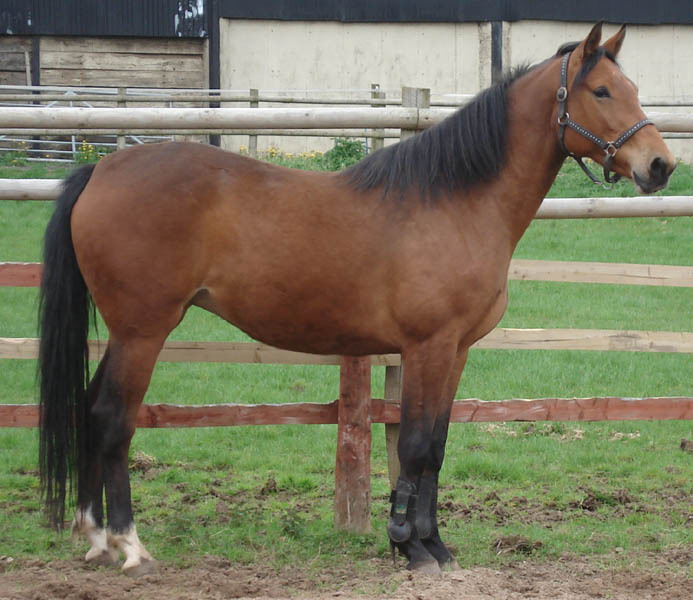 However on his dam’s side, Athlet Z descends from that pillar of Hanoverian breeding, Gotthard, and on the dam line, to an even earlier pillar – Feiner Kerl. 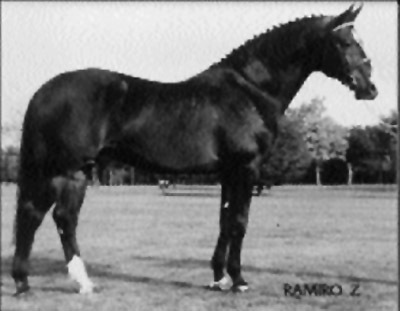 DAM: Wodka (Lord x Ramiro Z) was a prolific brood mare with no less than three international stallions Arturo 8, Sandstone Conway who is universally recognized in Europe and the U.S. as one of the most promising young jumper prospects. Showing in the preliminary division in 1996, he had 49 out of 51 rounds clear. 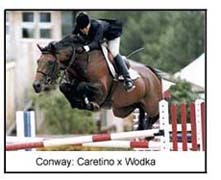 Sandstone Conway is an extraordinary horse that demonstrated carefulness and a winning spirit from the beginning. In 1997 he was the high point qualifier for the P.C.H.A. Jimmy William’s Futures Finals. 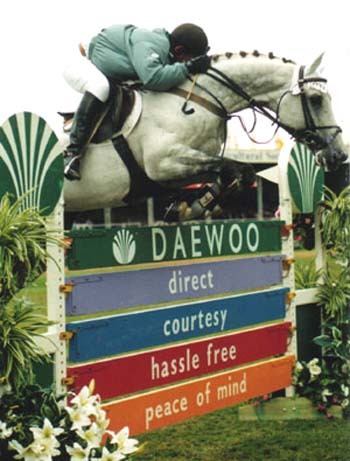 He also won the $10,000 GMAC Mortgage Jumping Derby at Pebble Beach. Sandstone Conway is the winner of two Grand Prix. He is also an outstanding athlete as well as a top-breeding stallion. 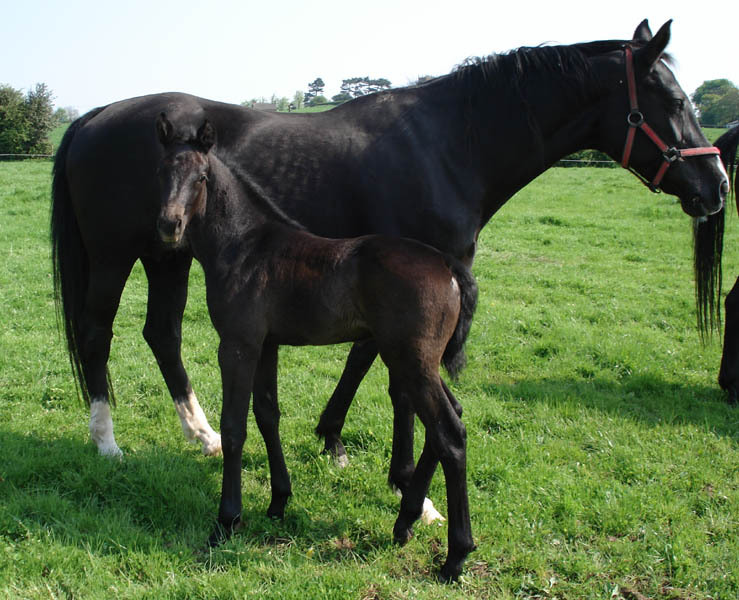 The third son of Wodka is Clearway by Capitol I who is an up and coming stallion in the Holstein breeding society and has already achieved wide acclaim as both a jumper and a breeding stallion in Europe. In 2003 one of his offspring was entered into the Zangersheide auction at the World Breeding Championships. 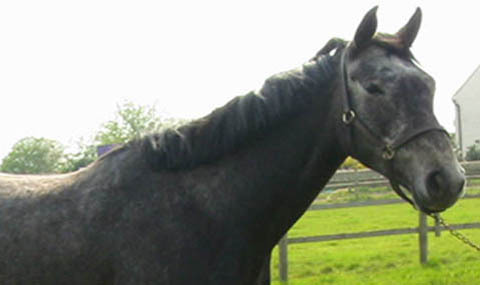 Wodka`s Sire Lord was a prolific breeder of showjumping horses his first crop produced the international showjumper, Livius who won the 1980 German Showjumping Derby under Peter Luther, and then team medals at the 1981 European Championships, the World Championships of 1982 and the 1984 Olympic Games. 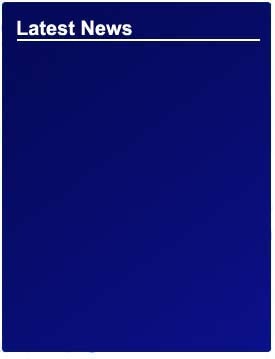 Other successful competitors by Lord include Luguna (K. Huck}, Lafeyette (H. Schmidt}, Actrice (C. O. Nagel}, Lusius (E. Gundel} and Pedro who competed at the World Championships in Dublin with Thomas Frühmann, Loyal 9 (P. Nagel-Tornau} and many more. 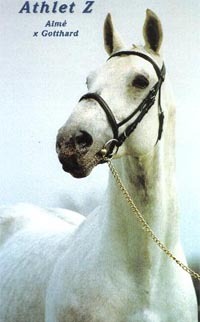 Successful sire sons include Lantaan in Holstein, and the sadly short-lived, Lord Liberty in Oldenburg. In all, Lord sired more than 60 stallion sons, and his progeny won more than Euro 3,000.000. Wodka's grand sire was the legendary Ramiro Z who is one of the most successful breeding stallions of all time, Ramiro Z has sired many successful showjumper's & dressage horse but is probably best known for the mare of the century Ratina Z who won olympic medal at two olympic games with different riders as well as winning the world cup final with Ludger Beerbaum. Great Grand Sire Ramiro Z: one of the most successful breeding stallions of all time, Ramiro Z has sired many successful showjumper's & dressage horse but is probably best known for the mare of the century Ratina Z who won olympic medal at two olympic games with different riders as well as winning the world cup final with Ludger Beerbaum. 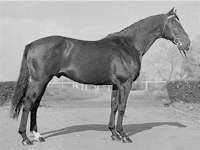 Grand sire Lord is one of the most successful breeding stallions of all time, Lord sired more than 60 stallion sons, and his progeny won more than Euro 3,000.000. 1/2 Brother Sandstone Conway is a multi-faceted stallion, son of Caretino that was purchased from the Holsteiner Verband as a 6-year old. 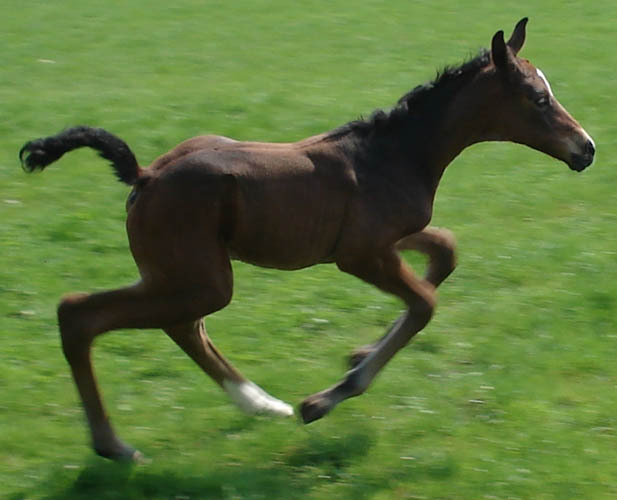 He has scope, speed, ride-ability and a very competitive spirit. Grand Sire: Alme Served France 1971-74; Zangersheide 1975-85, France 1986-1991 The Selle Français stallion, Almé influenced showjumping bloodlines all over Europe. 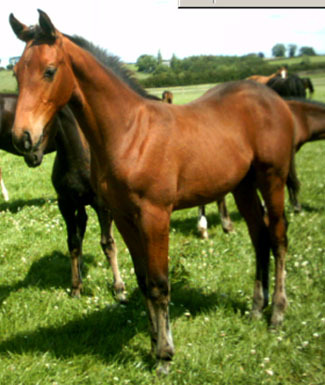 Almé was by the great French stallion, Ibrahim out of Girondine. Here Arturo 8 is Jumping on the national county showjumping circuit with Geoff Glazzard where they were regularly in the ribbons. 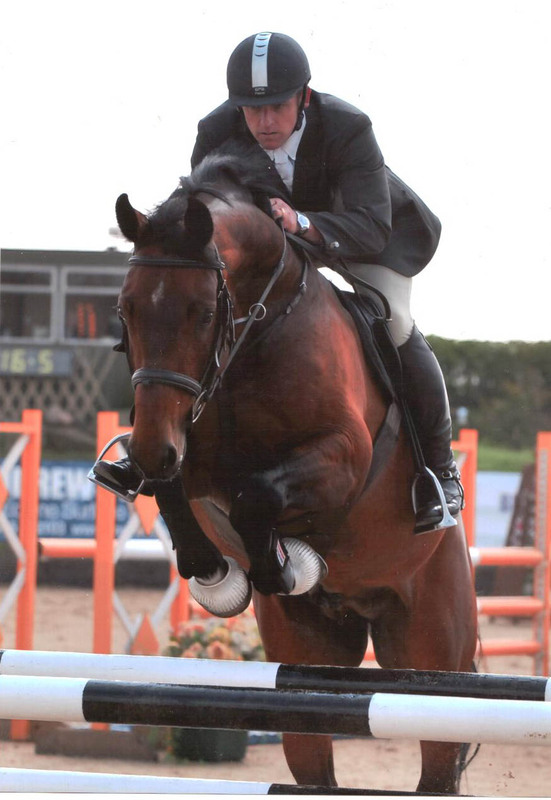 Home bred stallion Arturo 8 5th place in the 5 year old championships at the scope festival of showjumping, competed by Paul Simms. 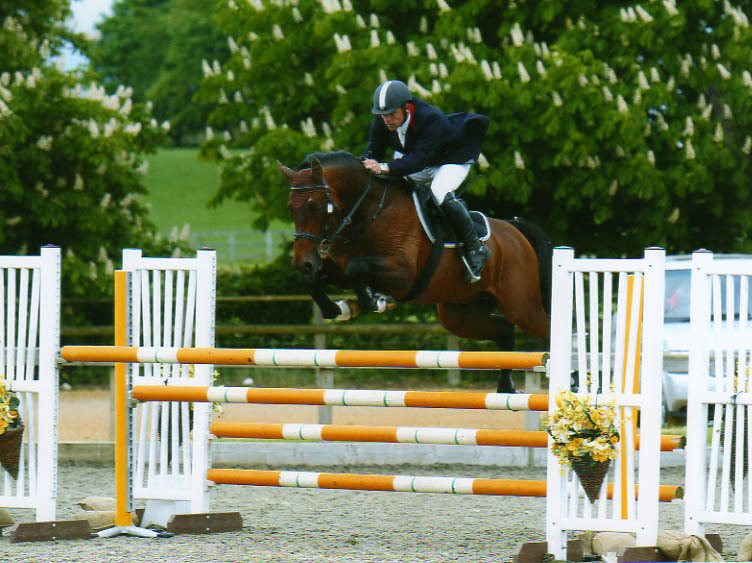 Arturo 9 - Bred at High Offley Stud Arturo 9 is a graded stallion and was one of the most exciting young show jumpers in the country being placed in the 5 year old championship at the BSJA festival of show jumping. Arturo 9 has a tremendously flashy scopey jump, fantastic looks and a kind caring character Arturo 9 is an excellent stallion for breeding. Red Arturos Song bred by leading horse breeder Valerie redbart was successful in the show ring and loose jumping championships. 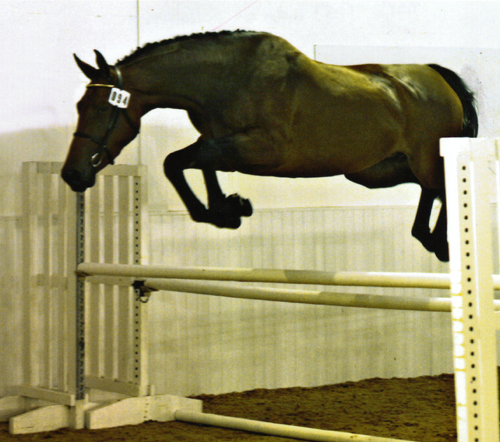 Red Arturo Song - Red Arturos Song bred by leading sport horse breeder Valerie Redbart was successful in the show ring and loose jumping championships, including the loose jumping championships at East Of England Loose Jumping Championship. 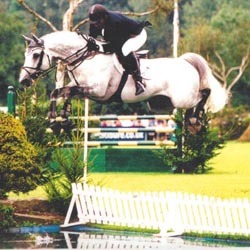 Red Arturo's Song is a modern sport horse who was bred by Valerie Redbart a successfully UK breeder who amongst others is the breeder of Magic Max who Keith Shore competed at international level including Nations Cup competitions. 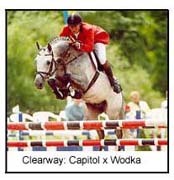 Arturo`s Way by Arturo 8 out of international showjumper Fleetway. Arturos way is a true modern sport horse and excels in all equestrian spheres and has competed successfully in both showjumping and dressage. 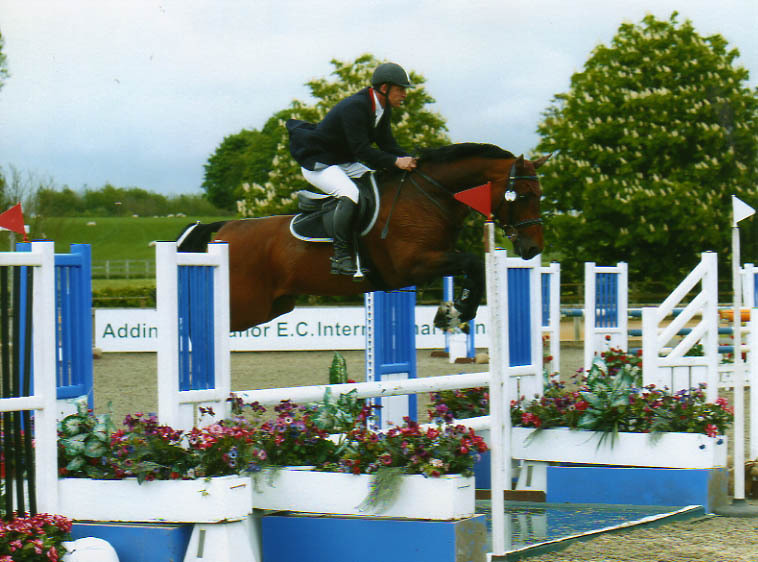 Arturo`s Way - Exciting sport horse bred at High Offley Stud, Arturo`s Way by Arturo 8 out of international showjumping mare Fleetway. Arturos way is a true modern sport horse and excels in all equestrian spheres and has competed successfully in both showjumping and dressage. 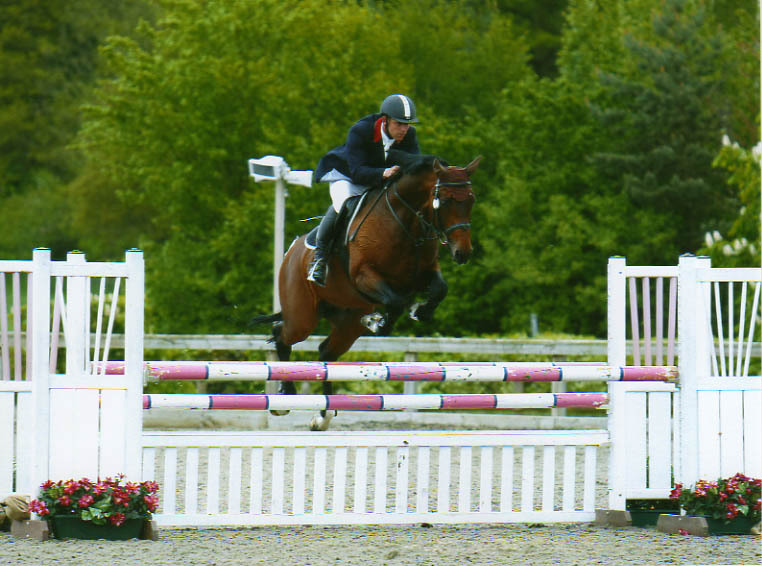 Arturos - Exciting sport horse bred at High Offley Stud, Arturos by Arturo 8 out of international showjumping mare La Boheme. 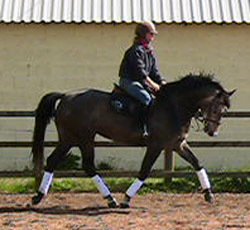 Arturos is a true modern sport horse and excels in all equestrian spheres. 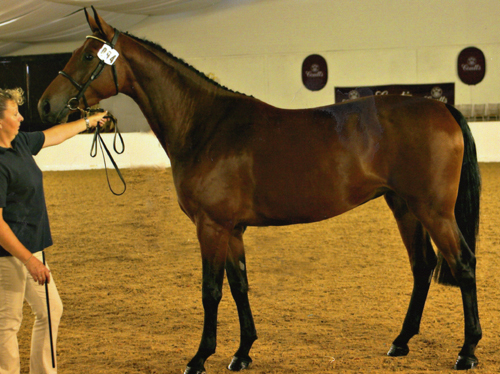 A promising showjumper Arturos is full sister to approved showjumping stallion Arturo 9. Arturos has been sold to a young rider and is competing successfully in showjumping, she is an exciting horse for the future. 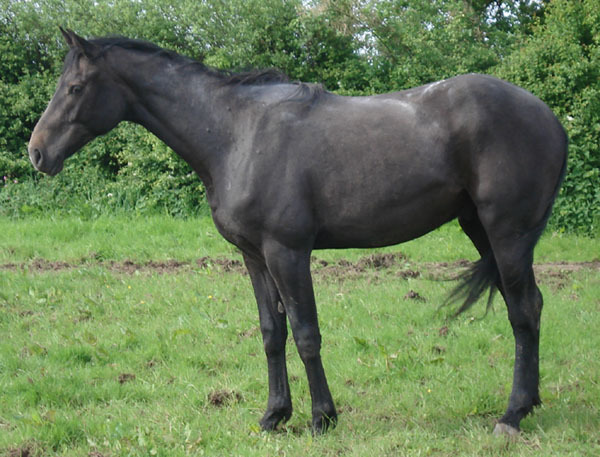 Eighteen - Exciting sport horse Eighteen, has competed in both showjumping and dressage. 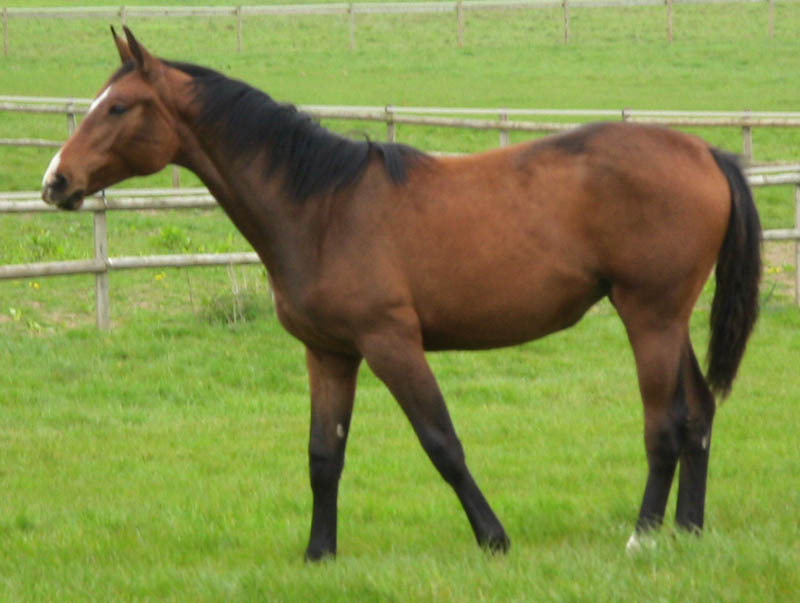 Eighteen has everything to excel in any equestrian sphere and would make an excellent eventer. Arturo 8 x Legaar excellent sport horse bloodlines Eighteen is an extremely talented sport horse and has the aptitude to become a very successful in show jumping, dressage & eventing. She is a quick learner in her first show doing affiliated dressage she came back with the red ribbon, since then she has has won at other dressage shows and often scores over 70%. Eighteen has also started going to show jumping shows and is jumping double clear's at British Novice. Eighteen has bags of potential for the future in both show jumping and dressage. A daughter of Arturo 8, Arturo`s Mist is an exciting young sport horse suitable for any equestrian discipline: Showjumping Dressage or Eventing. 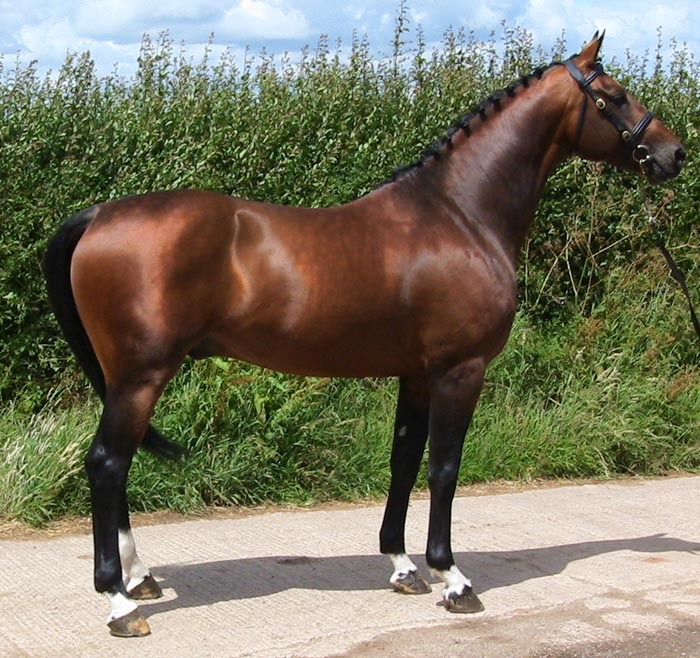 Arturo`s Mist - A daughter of Arturo 8, Arturo`s Mist is an exciting young sport horse suitable for any equestrian discipline: Showjumping Dressage or Eventing. 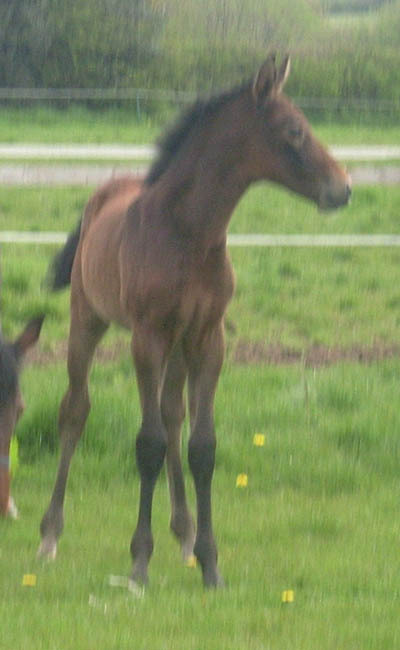 April combines some of the finest bloodline available at High Offley Stud with names such as Arturo 8, Athlet Z, Gotthard, Lord, Ramiro, Libero H, Landgraf I and voltaire she is a very exciting young horse for the future. Arturo`s Catch - Combining the bloodlines of two international showjumper's Arturo 8 & Catchas Catch Can, Arturo`s Catch has a fantastic jumping technique and the charachter to go all the way to the top. 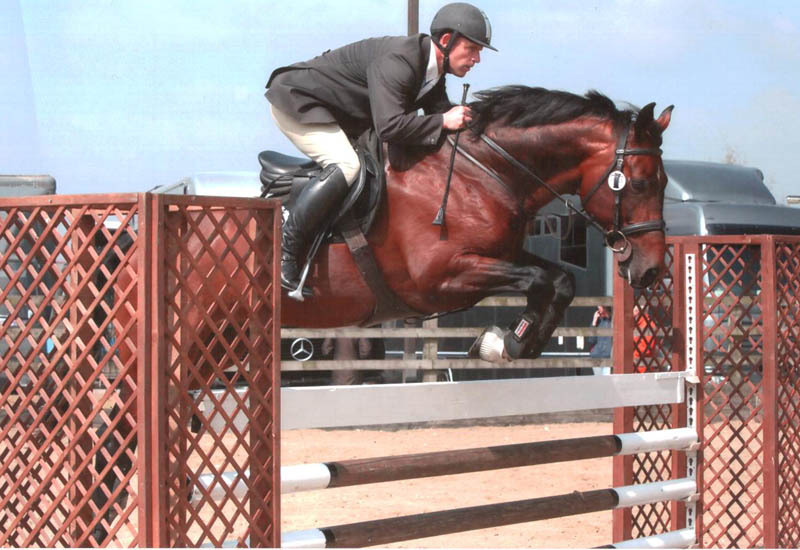 Bred at High Offley Stud Arturo 9 is exciting young stallion by Arturo 8, his fantastic athletic build makes him a tremendous showjumper and an exciting breeding stallion. 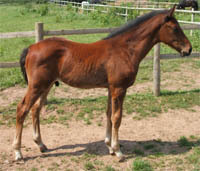 Graded with the Anglo European Studbook Arturo 9 has already started producing some lovely young horses for the future. 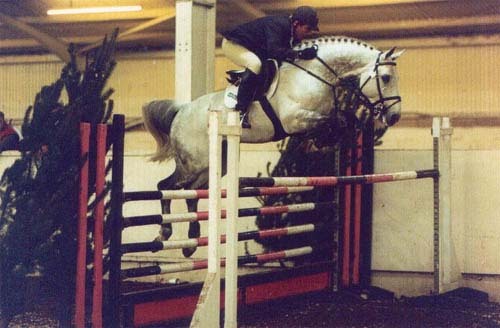 Arturo 8 x Sultan - Graded son Arturo 9 competed successfully as a young horse with international showjumping rider Robert Bevis. 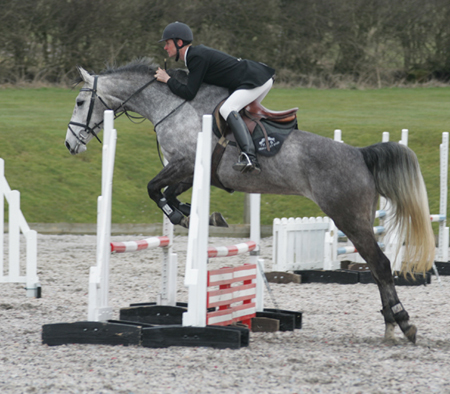 Arturo 9 is a fantastic horse with tremendous showjumping talent. Arturo 8 x Laramee, Tia is a home bred sport horse with all the breeding to excel as a showjumper for the future. 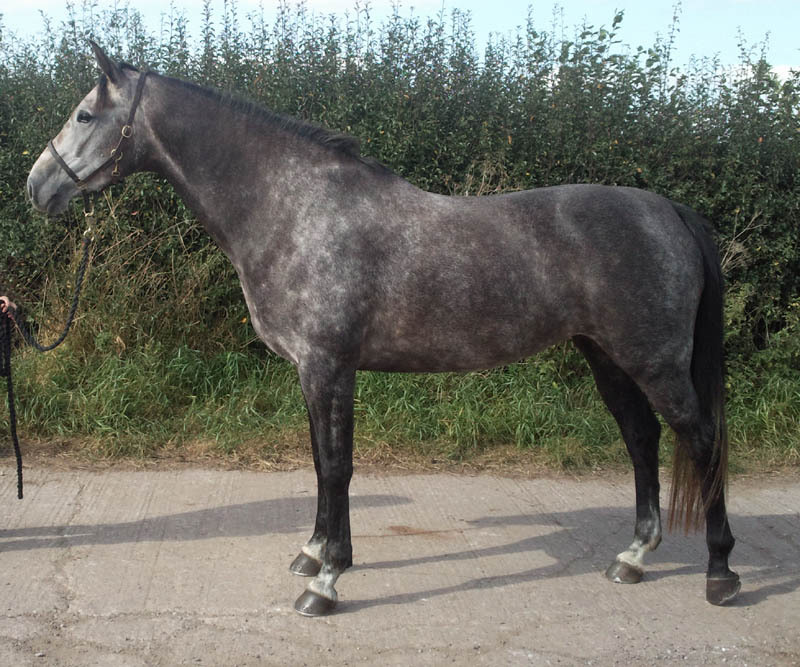 Arturos full sister to graded stallion Arturo 9, Arturos was bred at High Offley Stud, she was sold to a young rider and is now successfully competing in showjumping. Arturo 8 x Sunnora Son - Bred to jump Ernie is a lovely type and is a promising young horse for the future. 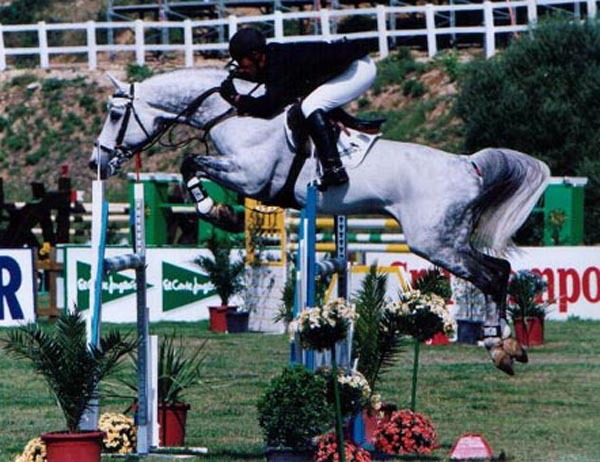 Combining some of the best showjumping bloodlines Arturo 8 x Sandro`s Whisker , Arturo`s Whisker is an exciting young sport horse. 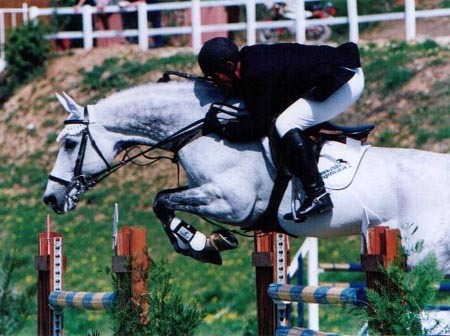 Arturo`s Song bred by successful horse breeder Valerie Redbart, Arturos Song was a successful show horse and looks to be an exciting competition horse in any equestrian sport. 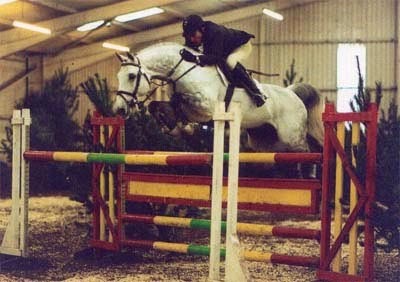 Arturo 9 as a 5 year old competed by international showjumping rider Robert Bevis. 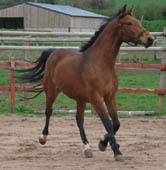 Arturo`s Renaissance, exciting sport horse from proven showjumping bloodlines. 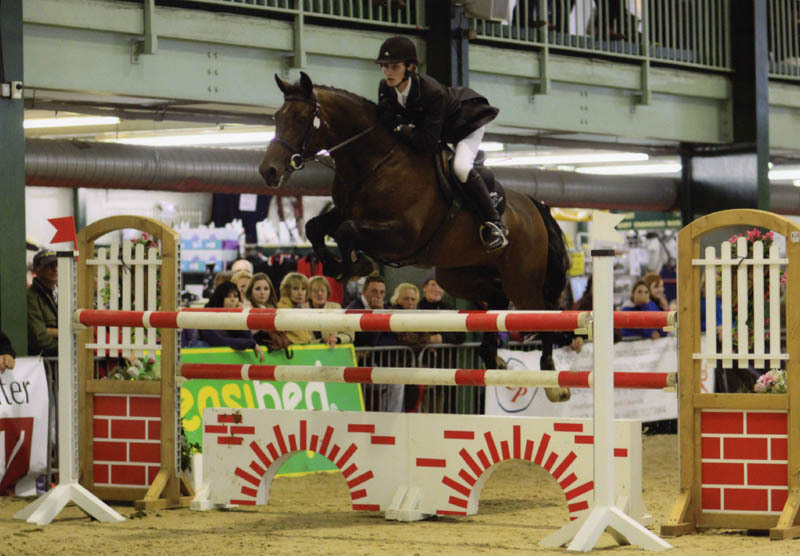 Arturo 9 an exciting young stallion, placed 5 at the BSJA Scope festival of showjumping jumping treble clear. 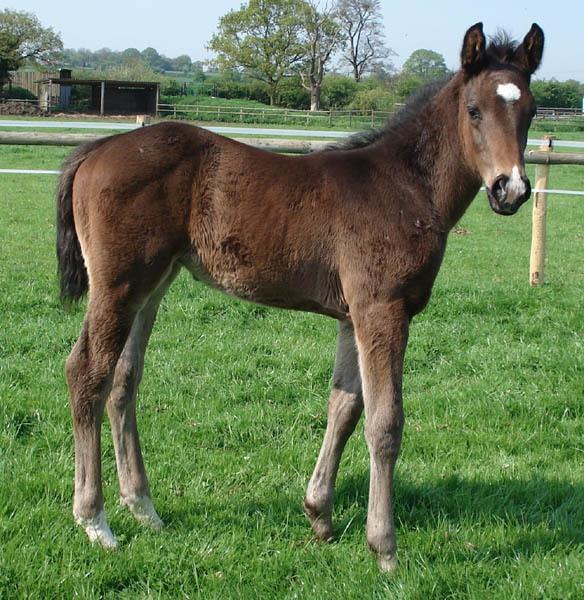 With an international bloodlines, Brindley pedigree contains two international showjumper's, Sire Arturo 8 and Dam Fleetway. 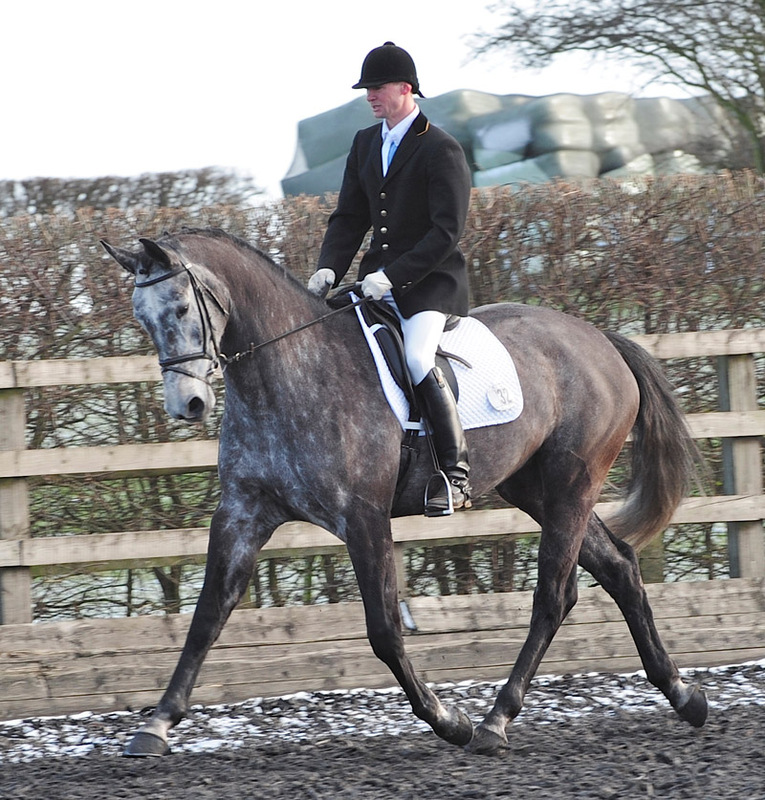 Brindley is now all grown up and is successful competing in eventing. 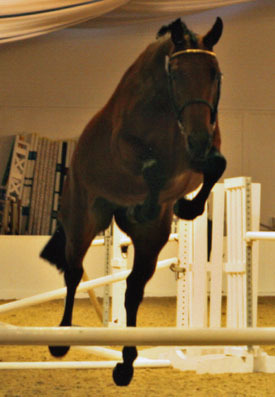 From proven competition bloodlines Arturo`s Hope is full brother to approved showjumping stallion Arturo 9. 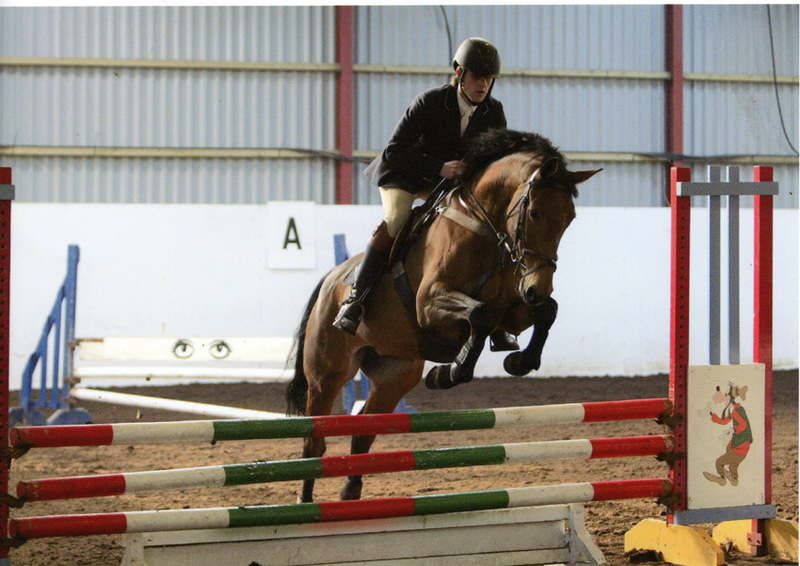 Arturo`s Hope is an exciting showjumping prospect for the future. 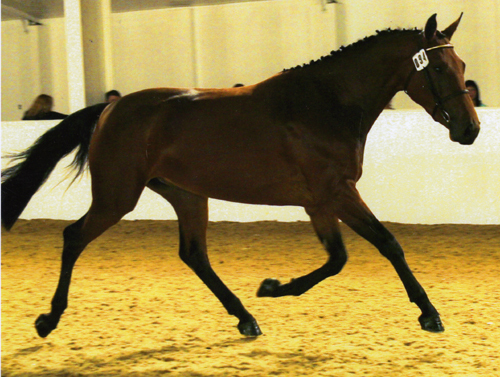 April: Arturo 8 x Libero H (2008) - With exceptional bloodlines April is an exciting young horse for the future. Full sister to the exciting young stallion Arturo 9, Arturos is an exciting showjumping talent, she is now successfully being jumped by a young rider. Combining some of the finest showjumping bloodlines April is a very exciting prospect for the future - Arturo 8 x Libero H x Voltaire . 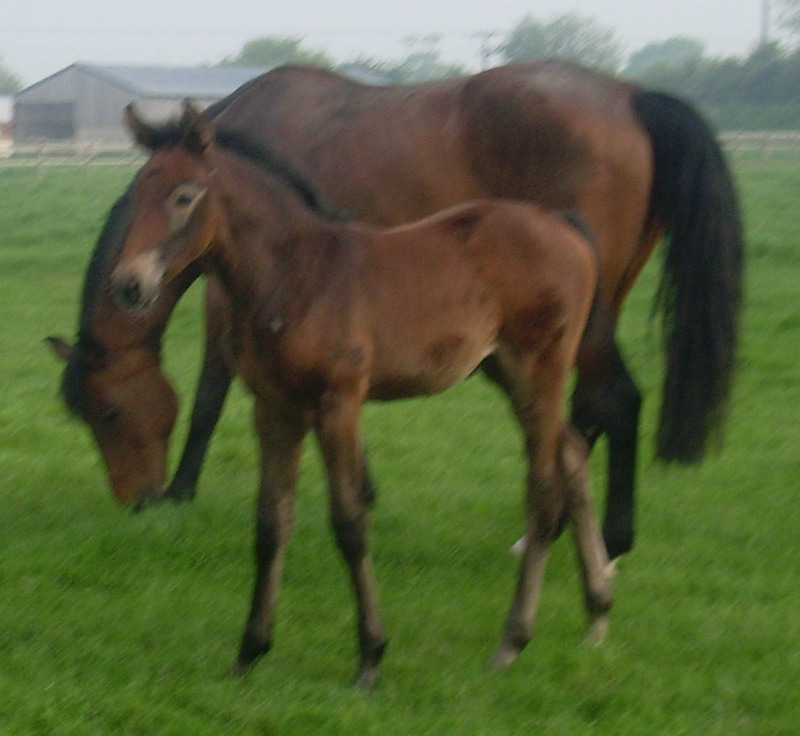 Its been a busy week for the High Offley Stud as we travel to south view equestrian center with Crocodile Dundy Z, Oscars Way, Artuos Renascence & Eighteen. Oscars way was on winning form in the foxhunter jumping another double clear and picking up the red rosette for first place, Crocodile Dundy also jumped a good double clear in the 1.25m in a good time to take 3rd. Eighteen jumped very well as she had a fence down in the newcomers, while the newcomer to shows Arturos Renascence showed further improvement as she loses her greenness and had a fence down in the British Novice. Our next show will be on thursday with Niagra B as Derek Morton takes her to Sollihull riding club for the horse of the year show warm up show. Sam Wall returned to winning ways for High Offley Stud winning the 1.15m at Prescot Equestrian Center riding the veteran showjumping stallion Sunnora Son, Sam Wall who has just come back riding after a lengthy spell on the sidelines after suffering a broken leg rode Sunnora Sun to victory jumping double clear and 2 second faster than the rest of the field. 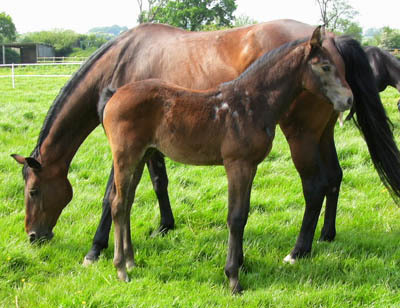 The High Offley Stud breeding program has produced another exciting foal for the future, High Offley Tipsy combines some of the finest bloodlines from europe including Frou Frou D`anchin, Rivage Du Poncel, Furioso Z, Furioso II, Grand Veneur and Uriel. 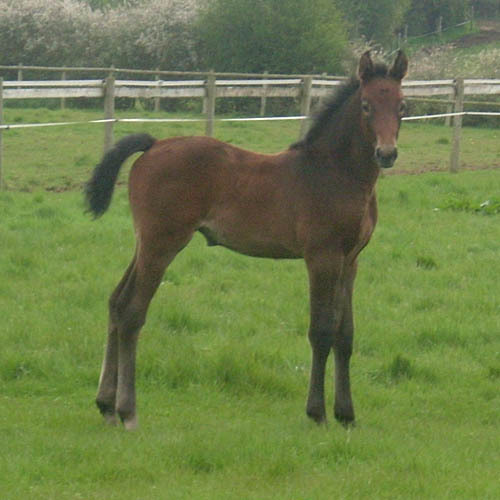 High Offley Tipsy is by our own selle francais stallion Frou Frou D'anchin.